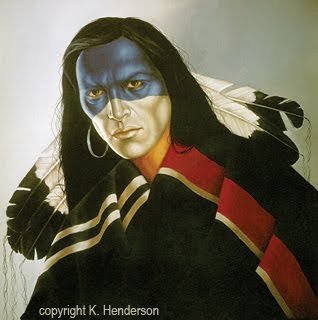 First, let me say that I'm better at painting than making slide shows but I finally got a slide show of my American Indian paintings on YouTube ! Although I used to paint horses frequently, I rarely do anymore. I decided it was time again and this is the result. Heart of Valor is oil on canvas, 20 x 30. 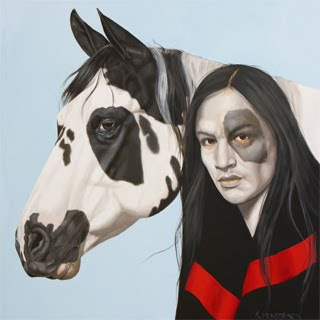 The Plains Indian has his face painted black, white and red. 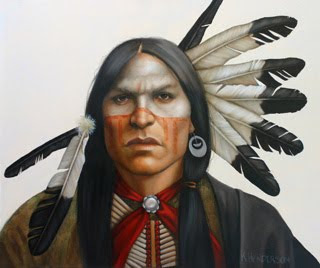 He is wearing eagle feathers in his hair. 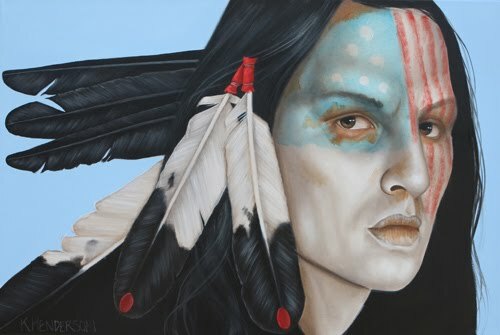 Whispering Spirit is 30 x 40 oil on canvas. When I begin each painting I create a brown underpainting. Glazes of color are then added to create a finished painting. 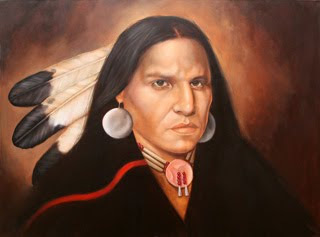 In this painting I decided to keep the browns of the underpainting prominent by using layers of brown, white and red. 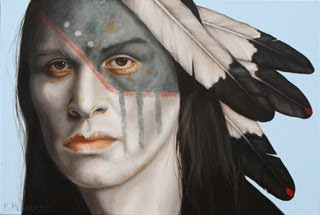 The result is a fairly monochromatic painting which focuses on the strong features of the face. 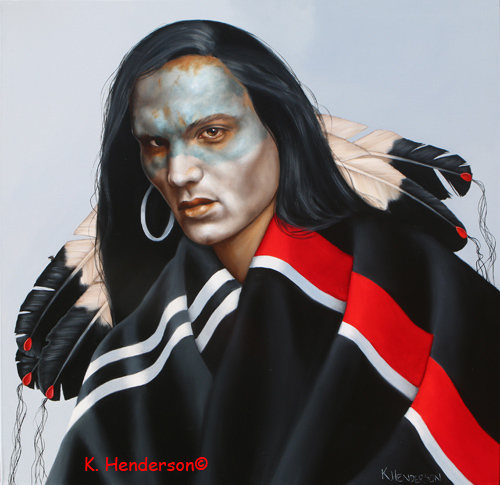 This painting is available at K. Henderson Studio for the next few weeks.